The Coursebook is filled with interesting topics and gives learners plenty of opportunity for discussion. It builds students' confidence by combining carefully graded exam preparation for their Cambridge English exam with thorough language and skills development - in a fun and engaging way. This is a course that engages classes with a variety of learners - and whether or not they decide to sit for the exam, all your students will be ready and fully confident by the end of the course. 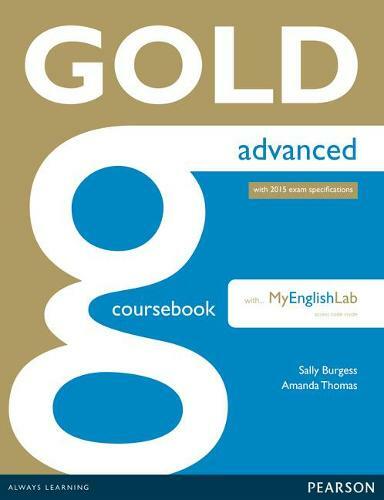 Special features: - Fun and interesting topics and an attractive design - Advice on how to tackle each exam task - Fast-paced syllabus with comprehensive exam coverage - completely in line with the revised exam 2015 specifications - Stimulating discussion-rich topics - Strong focus on vocabulary and chunks of language - Extensive writing support including activities and sample answers. MyEnglishLab is an online platform that helps with vocabulary and grammar practice. It instantly grades student answers and gives them meaningful feedback, saving teachers time and energy. Insightful analytics give teachers the whole picture of each class' performance and help track individual student's performance.